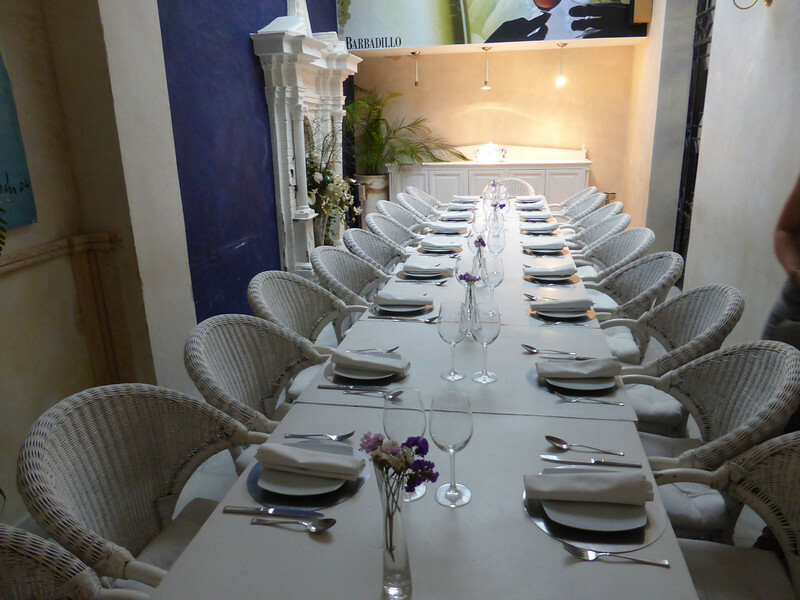 Seville - the table setting for our group farewell dinner at Taberna del Poncio restaurante de tapas. The meal was about seven courses and it was outstanding. Copious amounts of both red and white wine were also served.